The sticks befitting a drumming legend! Buddy's stick is a modified 5A with a larger tip, neck and shoulder. They are 16-5/16 inches long and have a .590 inch diameter. 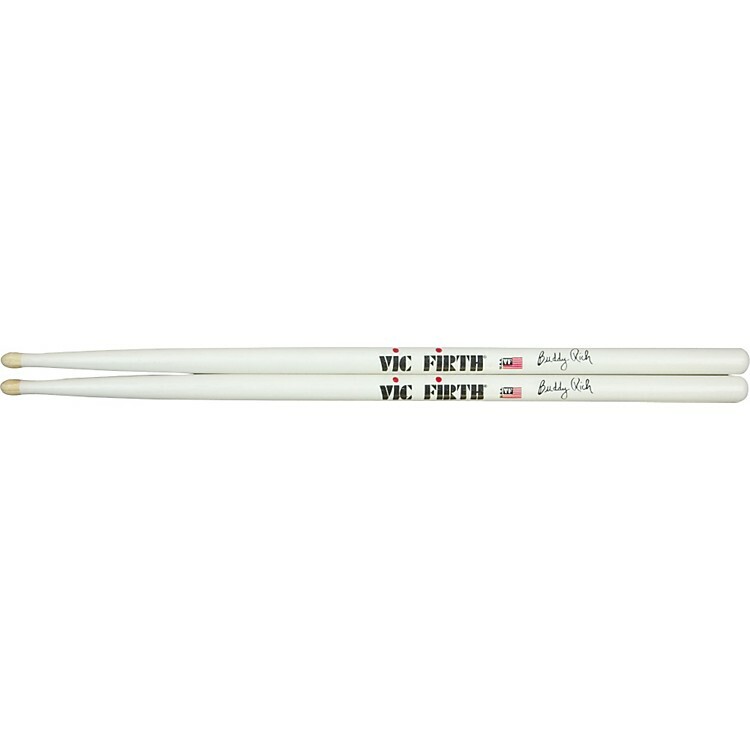 Sticks for dynamic, high-impact drumming ala Buddy Rich! Order today.